Saving for Chaos. Yes, it is better to start saving for our son's future. It might not that much in the beginning but the more you put money into his savings account the better. We are not the wealthiest people here but we survive and can afford to buy the things we want aside from the things we need. Thanks to my husband's job. 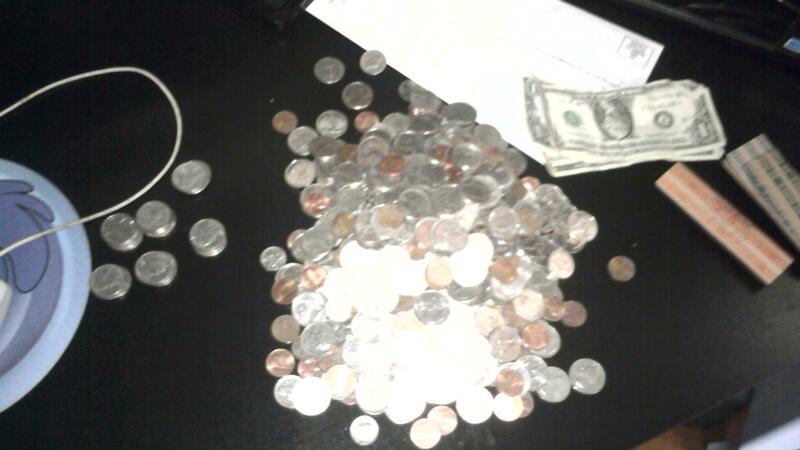 As you see, these are the quarters my husband started to save before I got here. And when I got pregnant I told him to save this quarters for our son's future. I know, this could go to one of this passion collection but it's time to grow up and think the priorities. All of this went into our son's savings account. Approximately its $100 plus. We didn't stop putting quarters/coins in his piggy bank at this present days.